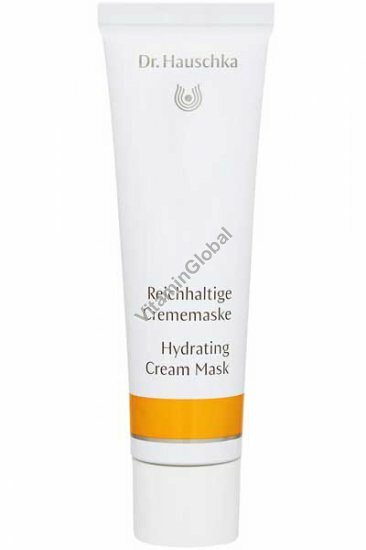 Hydrating Mask offers your skin a sense of safety and security. It imparts moisture retaining qualities to dry, sensitive and mature skin. The blend of botanicals soothes, protects and revitalises while sealing in moisture, leaving skin feeling smooth and supple. Applying this mask offers rich protection for your skin. Usage: After cleansing and toning, apply a generous amount of Hydrating Mask to the face (include eye area), neck and décolleté. Remove after 20 minutes with a warm, damp cloth. For additional deep cleansing intensive care, we recommend using Doctor Hauschka Clarifying Clay Mask .